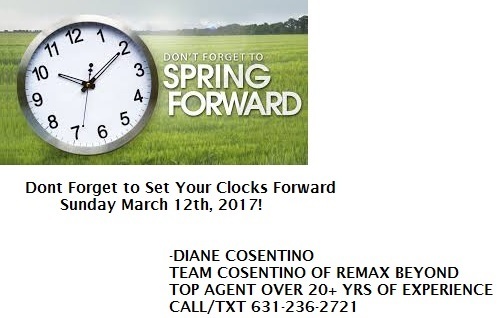 On Sunday March 12th at 2AM Dont forget to set your clocks forward one hour so we get an extra hour of daylight in the spring! Shops will be open later, another hour for exercising after work. The purpose of Day Light Saving is to conserve energy! Everybody dont forget to set the clocks forward!! !